We just have to send you a thank you email before we send you a card for everything you did from the day we met at Graydon Hall until now. You read Vincent's mind and were already getting a cruiser table for drinks beside the podium when he asked, and you had Kleenex before I asked you for some. The place looked AMAZING. I made sure to look at the outdoor and indoor space and take it all in. IT WAS PERFECT. You ensured Vincent and I ate during cocktail hour and had some alone time. You ensured we stayed at schedule, everyone was where they needed to be, and so, so much more. But you rushing to my hotel room and sending me a photo of Vincent's card was something else. I know myself and know I couldn't walk down the aisle without reading it. You saved the ceremony, 100 per cent. Both our families and wedding party couldn't say enough about your professionalism, positivity and calmness. It was awesome to have you there for Gabriel to turn to and even Vincent's dad needed you a couple of times! You are made to do this and it was an honour having you with us on our wedding day. Ps. Our dance floor was packed until 2 a.m. and the comments we've heard from guests are the nicest things you could tell someone about their wedding. Vincent and I couldn't have been happier :) I felt on a high the entire night! I want to say a huge thank you to Madison Winters for her countless hours of hard work and support during the planning and execution of our first fundraiser. Madison was a huge blessing to me as I was walking into unknown territory. From budget to branding to catering to decor, she really helped cover all my basic and was so patient with me throughout the process. During the day of the event I was full of stress and anxiety and she made the environment calm and happy. I am so grateful for her services and can't wait to plan our next event with her! It was a pleasure working with Madison. We instantly felt comfortable working with her because of her bubbly, upbeat personality. We also appreciated when she was straightforward with us, which made the planning process easier. We would definitely recommend her. I don’t have enough words to say how amazing Friday was. You made it all possible. We now have such beautiful memories all because of you you really are one precious young woman – heart of gold. A real joy to have met you Madison even now just writing to you – my smile is from ear to ear. From our first meeting until our wedding day, our coordinator Madison Winters was a joy to work with. She artfully helped us to execute our vision and guided us through the planning process. Her expertise and professionalism was especially appreciated on the day of our wedding. I felt so confident that I could approach her with any concerns knowing that she would be available to provide a solution. I also realize now that there were a few glitches that occurred behind the scenes and she managed to sort through it all without me having to know at the time. I am so appreciative of this. Madison also corresponded with me in the weeks leading up to the wedding when she was away on vacation - I think this is the definition of going above and beyond! Throughout the whole experience I felt confident that Madison understood our vision and knew how to help us bring it to life. 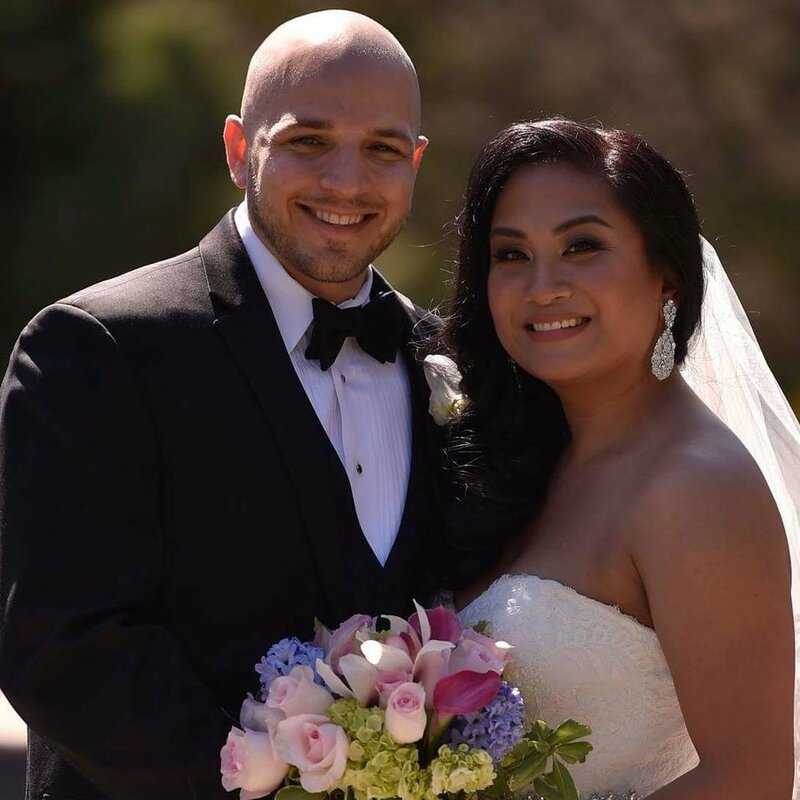 Words cannot begin to express our gratitude for the hard work you put in to making our perfect wedding day. From day one, you have been nothing but accommodating, supportive, and understanding. We couldn't have imagined a better person to help us create a truly unforgettable celebration! Thank you from the bottom of our hearts! I love Madison to pieces! The minute she became our wedding coordinator, it was lights out, just so awesome from that moment on. She was so attentive, accommodating, kind, fun, and just plain helpful. I'd like to think of myself as a chill bride, definitely not bridezilla quality, but in this one moment I remember where I got stressed, I remember Madison comforting me and saying she would help me with such resolve and sincerity that I remember just calming down immediately. And she totally delivered I must say! I loved my wedding so much! Although a year later, we are and forever will be grateful! The care that you took to make our wedding day special was truly amazing. Thank you for your kindness, creativity, perseverance, humour, patience, attention to detail, perspective, honesty, and sense of fun. You have the eye, heart, and talent for what you do! Thank you for being a part of our love story. Madison was a phenomenal planner. From the moment we met her we knew that she was the one for us. She is kind, passionate about her craft and has an infectious energy. Moreover, her attention to detail, organization and calm nature made us feel completely taken care of on our big day. We had a lot of moving parts at our wedding, and she was able to orchestrate it all, while making it seem effortless (even though we know it all required a great effort indeed). After the wedding we feel like we have left with a friend. From start to finish Madison made our wedding planning process a breeze & so much fun! Madison seamlessly pays attention to every single detail, very quickly understands exactly what your vision is and then effortlessly helps bring it all to life. She is organized, thorough and always willing to provide the best ideas to make your perfect day come together. Madison truly does a wonderful job of making you feel like the most special person on your wedding day (she 'll even fix your dress and hair when needed). She is the total package and I highly recommend her for your wedding day if you want someone to make sure it is PERFECT. Madison was fantastic. We had a positively unforgettable wedding experience- Madison you ROCK! Do you know that I still have guests a year later talk about how awesome you were at the wedding?! In the lead up to our wedding, and throughout the day itself, Madison was the one beacon of peace in otherwise stormy sea! Working with our personalities, values, preferences (and our budget!!) she made sure the planning stayed on schedule and gave us the elegant and relaxed event we had envisioned. Even when I, the groom, forgot the wedding license, or the weather turned, pushing our ceremony indoors despite having planned an outdoor one, Madison always kept a smile on her face and ensured a smooth course of the day, relieving us of the stress entirely! I can say, without a doubt, that she went above and beyond in her service, guiding us every step of the way from inception to planning to the day itself. Thank you for making something so hard so painless!! Madison Winters was an incredible wedding event planner for my husband Alex & I! We had to plan our wedding from abroad and she worked hard to ensure our face to face visits were productive and she was quick to respond to e-mails. She provided lots of ideas and helpful suggestions to ensure our day exceeded our expectations! All of our guests commented on how beautiful the day was and our families and bridal party mentioned how brilliant she was at ensuring all of our day-of needs were met. We can not recommend Madison enough! Her energy, expertise, and beautiful spirit will ensure your event is perfect! Madison was incredible with coordinating and made my day run smoothly. She even helped sew my dress because of a rip right before I walked down the isle! They were so great with communication which was important for us because we were out of town clients.